his ‘fearsome’ looks is a sign of his strength. In an interview with Showbiz last Tuesday, the prolific artiste who is not well-endowed in the good looks department, said he was not bothered about how he looks and that his unique looks rather make the ladies feel secure in his company. “No lady would want to be with a guy who will run away when certain situations rear their heads. Ladies want guys who can protect them. They want men who can stand in the face of danger and the way I look is enough to repel such situations. He added people are wrong to think he is unfriendly. “I am friendly, very romantic, caring, nice and loving and the ladies love how I look. He also debunked the perception that he hides his rugged looks behind sunglasses all the time. “It is part of my branding and apart from the fact that I feel cool in them, I am a very shy person and that helps me overcome my shyness”. Commenting on his love life, Edem said he is praying to God to direct him when choosing a life partner. The father of one says “my daughter is the best thing that ever happened to me. I cannot live without her thus I need God’s guidance when I choose someone to spend the rest of my life with." Edem is currently working on his "Books and Rhymes" album as well as videos for his "Latex" and "Go Harder" tracks. 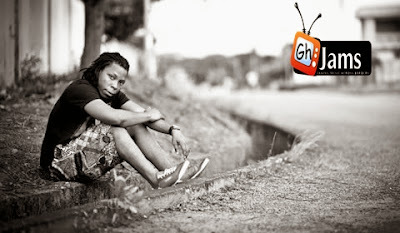 Edem, known in real life as Denning Edem Agbeviadey, was born in Dzodze in the Volta Region. He is the only son of his parents who are both deceased. He rose to fame with the release of his maiden album The Volta Regime produced by Hammer of The Last Two in 2008.